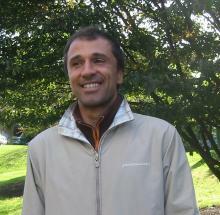 Elio is PhD student at CRESS. He holds a degree in Mechanical Engineering (University of Naples "Federico II", Italy) with a thesis on Bifurcations and Chaos Theory and an MSc in Agent-Based Computational Economics (University of Essex, UK), with a thesis on simulating and testing social policies in order to increase educational levels and job opportunities within rural Mexican communities. By designing artificial societies or distributed intelligent systems enabled to produce novelty or emergent behavior, his work aims to produce tools for a rigorous understanding of social phenomena. For his PhD research, Elio is investigating the social construction of corruption. Elio's approach to understanding corruption aims to identify which social mechanisms produce resilient and endemic corruption in Italy. He is expected to submit his PhD thesis by the end of September 2011.